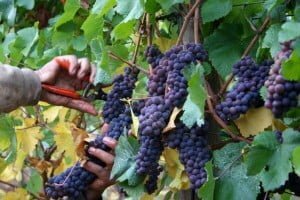 The Crush symposium is an opportunity for researchers, technical staff, academics and students to share the latest knowledge in grape and wine science in Australia. Hosted at the Waite Campus, Adelaide, a hub for grape and wine research, the event offers a unique opportunity for developing potential industry and research collaborations, and networking. Coordinated by the Wine Innovation Cluster, a partnership of the four leading Australian grape and wine research agencies, Crush is hosted in the years not containing an Australian Wine Industry Technical Conference (AWITC). The next event will take place in September, 2020. The Wine Innovation Cluster greatly acknowledges the support of our past event sponsors who have contributed to the success of this event. Now in its 6th year, the symposium is cementing itself in the wine and grape industry calendar. If you would like to get your brand in front of some of Australia’s leading minds in wine and grape science, please contact Natalie Burgan, WIC Executive Officer (WICEO@awri.com.au).